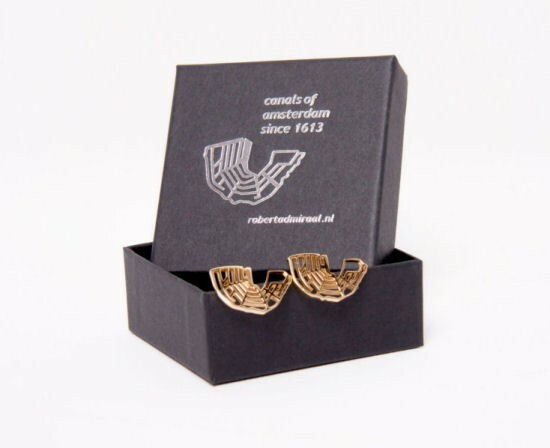 Touch of Dutch: the Amsterdam canal ring in the form of gold-plated cufflinks. 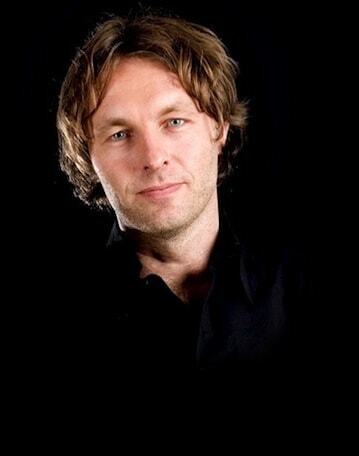 Designed by Robert Admiraal, created from 18 carat gold-plated silver. 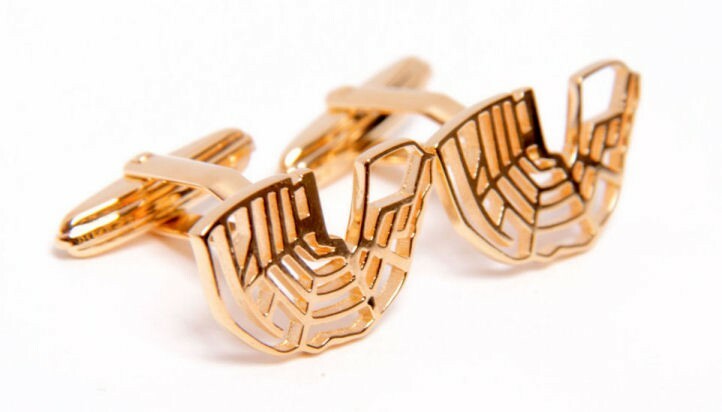 These 'Canals of Amsterdam' cufflinks give a stylish Dutch touch to your business outfit. 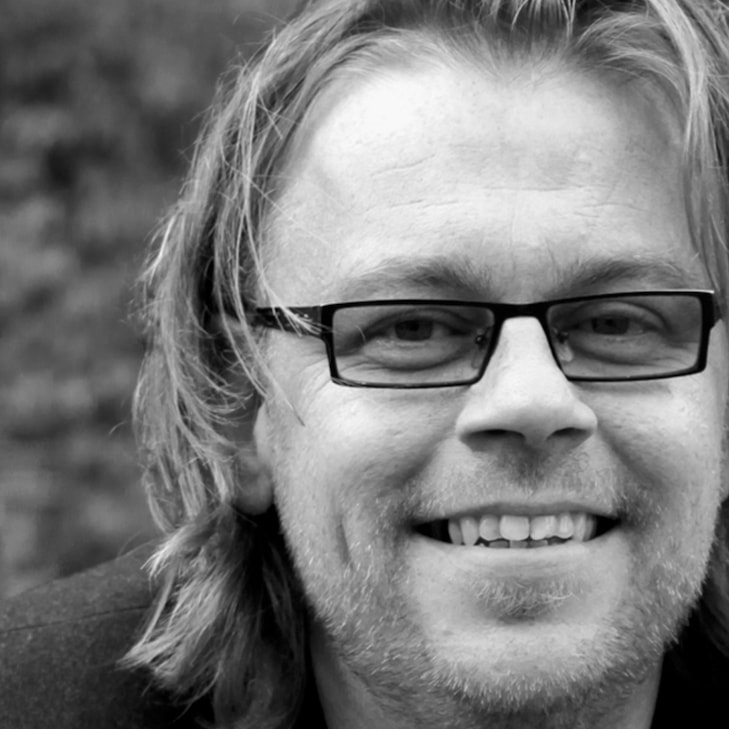 What we call ''dressed in Dutch detail'. Treat yourself … or someone else. You get the best view of the pattern of the Amsterdam canal ring from the air. This image was the inspiration for these unusual cufflinks. 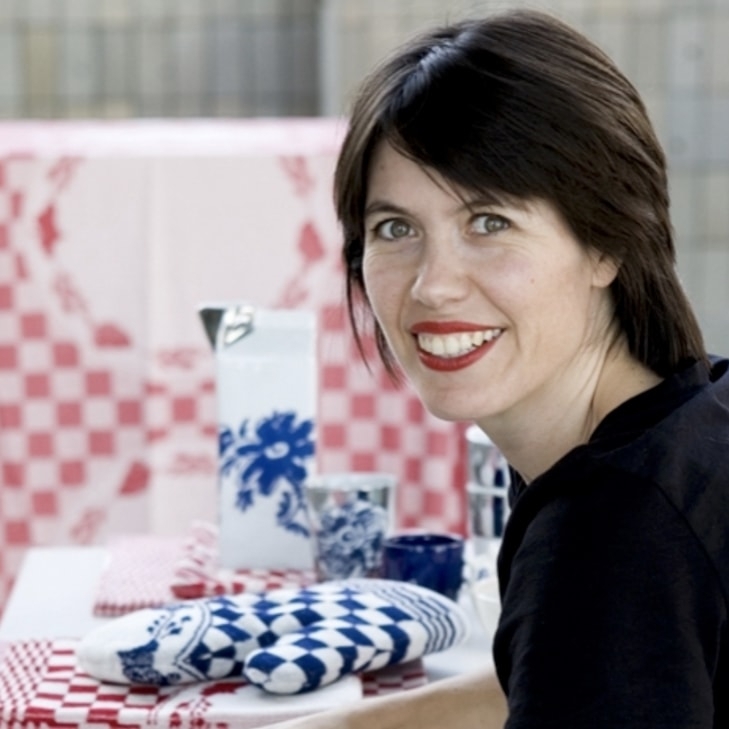 Designer Robert Admiraal created them to celebrate the 400 year jubilee of the Amsterdam canal ring (2013). The most characteristic part of Amsterdam in the form of silver cufflinks: a subtle signature. 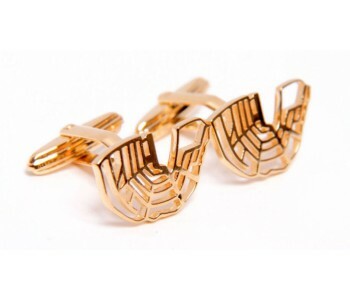 The 'Canals of Amsterdam' cufflinks are 100% handmade, created from 18 carat gold-plated silver. 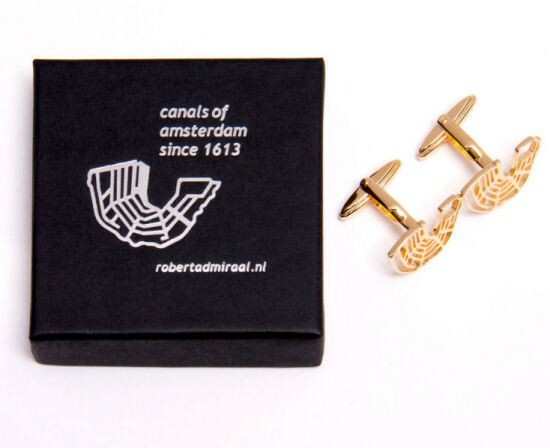 We deliver these cufflinks in gift packaging that includes a flyer describing the origins of Amsterdam's canals. The Amsterdam canal ring is immediately recognizable from aerial photos and maps thanks to the characteristic semi-circular shape formed in the city center by Herengracht, Keizersgracht, and Prinsengracht This canal ring was constructed during the Golden Age (1600-1700) and through the centuries has developed into one of the most unique places in the world, named as a UNESCO World Heritage Site in 1999. The network comprising various waterways was originally made for drainage and land reclamation for the city's expansion. The canal ring was initially built for practical reasons, but the area later developed into an environment that characterizes the city. Wealthy merchant financiers invested their money in building houses along the canals. This is how the Singel, Herengracht, Keizersgracht, and Prinsengracht came into being. Every year in August, the annual Canal Festival takes place. If you enjoy open-air concerts, you should not miss the unforgettable Prinsengracht concert, which brings the Canal Festival to a close.